Professor Jordan Peterson's video response to my piece here last week about the controversy over freedom of expression and transgender rights problems he has encountered has caused me to review carefully the comments on it of other writers and Prof. Peterson's other relevant public utterances. I strenuously deny that I wrote or considered that it was a trivial matter, as Prof. Peterson claimed, after thanking me for my support. I agree with him on the substantive issue and repeat that I salute his courage and his logic. This is a fundamental issue where the right of freedom of expression is being assaulted by people falsely claiming that abstentions from the use of contrived jargon, in the form of non-binary gender pronouns, somehow robs them of their constitutionally defined dignity. It is anything but trivial and I am mystified by that allegation from Prof. Peterson. I will not impute motives to him, but it is not surprising that beleaguered as he is by the malice and idiocy of his detractors and the usual cowardice of some university administrators, he may misjudge even the motives of his supporters. I do question the wisdom of his envisioning being prosecuted by the ghastly and contemptible social justice tribunals, being sentenced to a fine, refusing to pay it, being imprisoned for contempt of the judiciary, once it is induced to legitimize the oppressions of the tribunal, and then conducting a hunger strike in prison. At the time of writing, no tribunal has yet agreed to hear a complaint against Prof. Peterson, let alone imposed any fine, which is not to say he will be spared these outrages in the future. But talk of a hunger strike is a bit premature, and quite an escalation, which I viewed as a tactical error. My concern for Prof. Peterson is those who are just being introduced to this subject may see his vow to go on a hunger strike as a disproportionate response to the situation as it stands, potentially inhibiting the perception of reasonableness his position deserves. He, not I, is fighting this battle and has every right to make whatever tactical decisions he judges appropriate; I greatly admire his resolve and withdraw my tactical advice, as this is his gig and I have no standing to advise him. But I return to the subject to banish any thought that this is a trivial question. In his response video prompted by my column last week, Prof. Peterson expresses the view that I am in violation of the law under Bill C-16, as I have and continue to urge against and dismiss as absurd and outrageous the demand that those who purport to be in a transgender condition that is neither male nor female, have a right to be addressed in a new vocabulary of their devising. This opens up an unlimited range of additional genders and lays waste the allegedly restrictive and outdated division of people and other species into male and female. 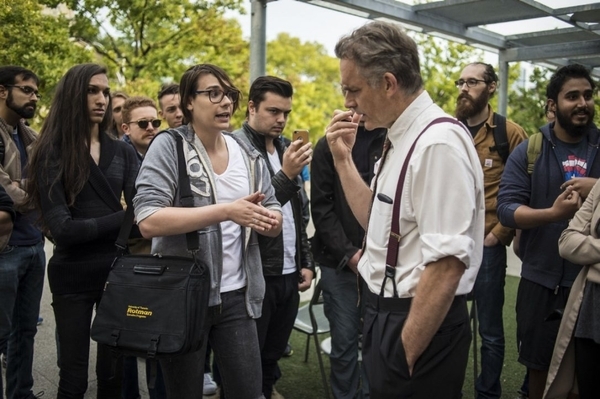 It vests in those claiming such status the power not only to impose limits on free speech but to compel the involuntary use of invented language as a matter of right on anyone who might speak or write to them, in this case, Jordan Peterson in his capacity as a university professor. It also leads into the tenebrous thickets of human rights and criminal legislation which raises the draconian prospects Prof. Peterson mentioned. The wording of the existing human rights and criminal legislation allows that "all individuals" have an equal opportunity "to make for themselves the lives that they are able and wish to have and to have their needs accommodated ... without being hindered in or prevented from doing so by discriminatory practices." In an effort to extend rights to trans-people, Bill C-16 adds the prohibition of discrimination based on "gender identity or expression." From this apparently unoffending assurance there arises the agitation by those claiming to be pan-gender, between genders, without gender, or by some psychological or behavioural criterion, of a gender other than male or female, that their "need" to be addressed in a specific manner distinguishing their gender status are "accommodated." New pronouns have been devised: zhe, zir, zis (once a Soviet automobile — bringing to mind the farcical phrase "Zhe gave zir a lift in zis Zis.") The specific issue with Prof. Peterson is his refusal to be compelled to address his students in this way. In threatening him with prosecution, his opponents claim he is failing to accommodate their statutorily entrenched rights, while he claims they are seeking to violate his right to free speech in the particularly offensive manner of going beyond prohibition of what he chooses to say and depriving him of the absolute right to silence that all people in civilized society possess, at least conversationally, and in requiring Prof. Peterson to utter words whose authenticity he rightly declines to recognize in description of a condition that, as it purports to create a new gender co-equal with male and female, he rightly believes to be nonsense. Of course, Prof. Peterson is right in the assertion of his freedom of expression and failure to do as his tormentors demand does not constitute disrespectful treatment of them that impinges on their right to "make for themselves the lives that they are able and wish to have." As university administrators usually do, the relevant authorities in the University of Toronto have rolled over like trained poodles for the objectors and admonished Prof. Peterson, implicitly wielding the instruments of torture that such people have over faculty members when supported by a mob of half-witted students and a largely passive media. For the purposes of this discussion, I will set aside my reservations about the freakishly permutated condition of the contemporary academy. I greatly enjoyed my own university years and emerged from them with three earned degrees in established fields (history and law), and not such bunk as women's studies (although I pursued that subject informally as best I could), transgender studies, equity studies, or various handicrafts, all potentially interesting, but not academic pursuits for degree-granting purposes. I have on other occasions, in this newspaper and elsewhere, described our universities as hideously expensive monuments to the propagation of ignorance, hypocrisy and intellectual torpor, now largely dominated by enemies or witless dupes of enemies of our entire civilization. Our society has been at this impasse before: in 1941, Robert Maynard Hutchins, president of the University of Chicago, who banned football from his campus as unintellectual and pushed the idea of turning all American sophomores into philosophic minds by forcing them to read redacted digests of his selection of "the great books," told the U.S. Congress that the United States should not try to assist Great Britain and Canada in the Second World War (before the U.S. was a participant in it), because the United States was so "corrupt and morally and intellectually sick that it could not possibly give leadership to anyone." (It looked pretty good compared to Nazi Germany, and Winston Churchill and Mackenzie King were seeking war supplies, not moral leadership). What is new now is that unprecedented numbers of people attend universities, stupefying amounts of public and private money have been squandered in building and over-building universities, while standards of public information and enlightenment have declined, and monstrous idiocies like the Peterson affair are routinely inflicted on the innocent in these supposed cathedrals of learning. While I have grave doubts about the competence of our court system, emboldened by the bloating steroids of the Charter of Rights as it churns out inane decisions like a sausage factory, to produce a sensible and condign judgment on this matter, I doubt if Prof. Peterson is facing the danger he fears, or that I and other writers who have supported him, including my distinguished colleagues Christie Blatchford, Barbara Kay, Rex Murphy, Margaret Wente, and others will be judged or even accused of statutory violations. If any of us is, including Jordan Peterson, we must all stand together and try to rouse the will of the sensible majority of generally reasonable people. Prof. Peterson, the intellectual merits of your opponents' arguments are trivial, not the issue they raise. Not five per cent of Canadians would agree with this asinine and sinister jape, and if the cowardice of the University of Toronto allows it to go any further, all thoughtful Canadians must mobilize to assert irresistible counter-pressure. Jordan Peterson must not be allowed to face this menace alone.